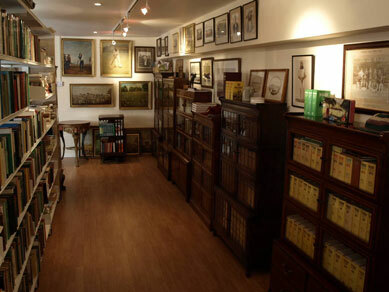 Since 1989 Boundary Books has published and sold fine Limited Edition cricket books, rare and out of print cricket books, Wisden Almanacks, autographs, cricket memorabilia, ceramics paintings and prints. We provide our regular customers throughout the world. This online store offers just a small selection of the thousands of items that we hold in stock. 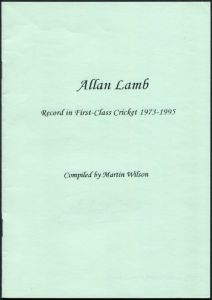 If you are looking for back copies of anything cricket related including The Cricketer, County Yearbooks, Annuals or old Wisden Almanacks then do e-mail us for a quote. 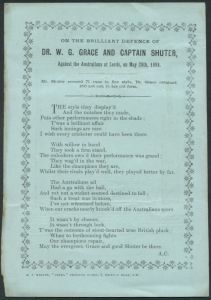 The same applies for old and rare cricket autograph material of all types. 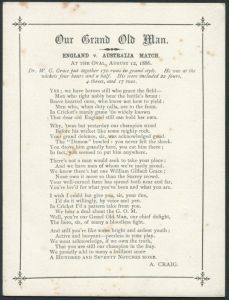 We specialise in the great writers of cricket literature - FS Ashley-Cooper, Nyren, Neville Cardus, PF Warner, PGH Fender, Rev James Pycroft and autograph material from the great players - WG Grace, Bradman, Ranjitsinhji, Victor Trumper, Jack Hobbs. 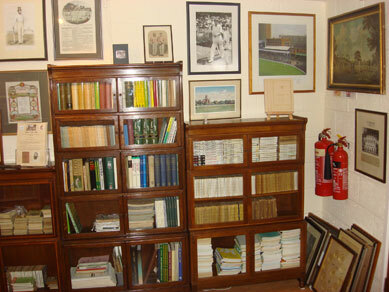 We also stock a mass of old cricket postcards, letters, photographs, scorecards - almost any kind of rare cricket ephemera. 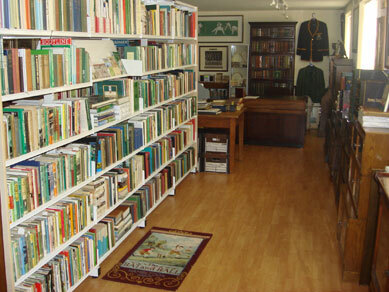 We also issue regular printed catalogues, e-mail Alerts and operate a showroom in South Oxfordshire for personal callers by appointment. 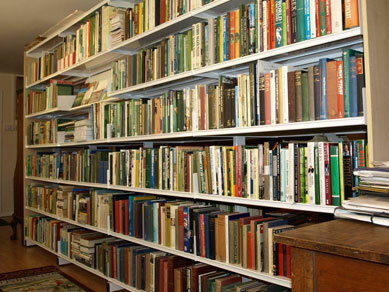 The latest issues can be browsed in the "Catalogues" section of the site. These catalogues and e-Alerts show far more of our stock than the product listings. To order any item on this site:- either go through the Shopping Basket system or simply e-mail or telephone us. All prices include postage in the UK. For overseas orders we will add postage at cost. 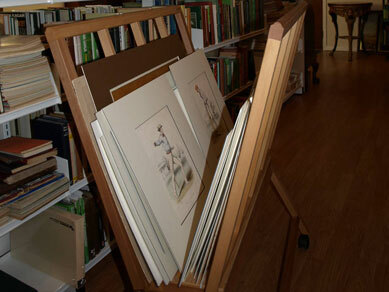 We have just launched a new "Virtual Exhibition" containing an imoressive selection of cricket paintings, drawings, engravings and etchings - bith antique and modern. The Exhibition takes the form of two separate "e-Alerts" - out regular e-mail listing service. These can be found under the "catalogues" heading of this web site and are number e-Alert 265 and 266. Visitors are also welcome to view these pictures "live" in our Showroom, by appointment throughout the summer. Earlier this year we released an e-Alert containing the first fifteen Wisdens - 1864-1878. These were in immaculate condition, complete with original wrappers, and they sold very quickly. We are now displaying the next grouping from this "perfect set" - original softback copies from 1879 to 1895. It was the year after - 1896 - when Wisden first started to publish an original hardback so these are the truest original form available up to 1895. These copies are all in very good condition, edges slightly trimmed and spines professionally replaced. The wrappers are as good as it gets. 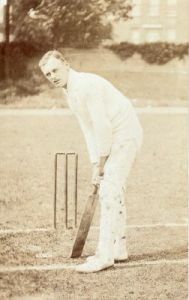 You can see from the photos that the set belonged to the cricket historian, writer and collector, A D Taylor of Brighton. Postage and insurance is extra. Click on 'Catalogues' at the top of the main menu to view this eAlert in detail. 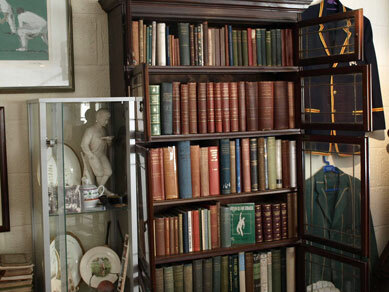 We are always interested in purchasing rare and unusual cricket items - books, autographs, postcards, scorecards, Wisdens, prints, photographs, and objects of all types. 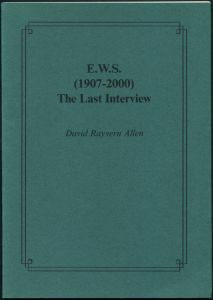 Typically, the best prices can be offered for pre-war material. 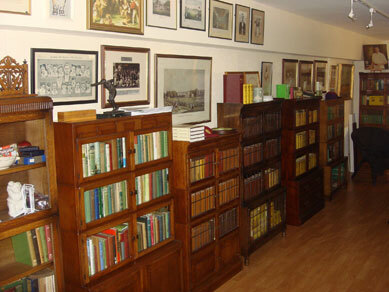 Just e-mail or telephone us for a quote or to arrange a visit.